At Mapbox I’ll be working with their infrastructure team, making sure that the maps are processed and served reliably and fast. Mapbox runs on AWS and I’m very keen on learning more about the paradigms of infrastructure engineering that entails. I’ll stay in Berlin, but you’ll likely be able to meet me often in Washington, DC and San Francisco. Maps have been fascinating to me for a long time. Back in the days when I got my first mobile phone, I was intruiged by the fact that I would have access to a searchable map of our planet at any time. Maps are the user interface to the world around us and a key part of how we discover, plan and move. Also they are a prime means of revealing information. Therefore they have an imense impact on our lives. Still, working with maps is cumbersome and this is what Mapbox is changeing. Mapbox as a company was build with two important aspects in mind: Open Source and OpenStreetMap. The Mapbox Github org currently has over 100 public projects (like the core map design tool Mapbox Studio and sqlite3 bindings for Node.js). Combined with that, Mapbox internally organizes mainly around Github, working much like an internal Open Source project. All information is in repositories, wikis and issues. And after spending a week with it, I couldn’t be happier. The level of transparancy is amazing. My Github feed truly is the pulse of what everyone in the company is up to. 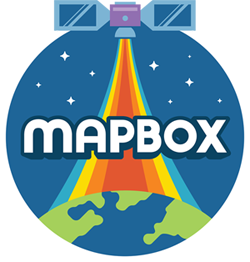 Mapbox is a huge consumer and contributor to OpenStreetMap, the Wikipedia for map data. Mapbox has worked on better tooling (like the id editor) and has an own team contributing data (like buildings in NYC). And as outlined very well here, the world needs OpenStreetMap. So all of these aspects made it clear to me that Mapbox is a company I want to be a part of. I’m happy I get the chance to do so. And if you have any questions about maps, cloud infrastructure or working at Mapbox, keep them coming. I’m happy to answer.